1. When planets are conjunct the NN, is there still a naturally strong identification with the sn? 2. Is there ever a case where one needs to develop the SN more than the nn? 3. When planets are conjunct the NN, does this simply imply that the lessons of those planets are highly emphasized and definitive of where the soul is evolving? (Meaning it DOES NOT necessarily mean that those planets are already well developed in that soul's consciousness, but rather they are meant to be developed). No, it will be more of a feeling like when you are driving away from something in your car, and you look through the rear view mirror: the increasing sense of something be left behind. Yes. When we have the skipped step signature in a birth chart, and the Node that last formed a conjunction to the Planet(s) squaring the Nodes is the S.Node, then the S.Node is meant to be the integration point for the entire signature symbolized in the skipped steps. Also, when planets are conjunct the South Node those planets and the Node itself, and the House they take place in, will be archetypes within the Soul's consciousness , it's prior lives, that are being brought forwards into the current life for ongoing evolutionary development and reasons. However, they are not meant to remain static within the Soul's ongoing evolution. These symbols will evolve by way of the N.Node itself, and the location of it's planetary ruler, relative to the bottom line evolutionary intent of the Soul: the opposite house and sign of the natal Pluto. Planets conjunct the N.Node means that those archetypes have been worked upon prior to the current life: they are not brand new. And the intention of the Soul is to continue to work upon these archetypes as bottom line orientations to the current evolutionary intentions of the Soul. Having a planet conjunct the NN would also signify that specific planet is playing a major role in your current evolutionary intentions defined by the karmic dynamic. It would give you some clues by what archetype, house, and sign as to how to better actualize the NN. I like to think of it as a tool to help get us to where the NN is pointing us. Both the NN and that planet are basically working as one energy. Also, if it is conjunct the NN, that means it is opposed the SN. Both stressful aspects, but can lead to evolutionary growth if used properly. I'm trying to comprehend the general meaning of a planet retrograde on the nn. Is it karmicly similar to having a planet on the sn in which there is a re-live dynamic? No because with a planet on the N.Node the Soul has an inner sense of moving towards something that has already been underway, whereas the S.Node creates much more of sense of being 'stuck in something from the past that the Soul wants to move away from, but can't. With a planet retrograde on the N.Node the Soul will continue to recreate circumstances, inner and outer, in which the operative principle will be one of individuation which, of itself, accelerates the evolution of the Soul. Thus recreating dynamics and circumstances that need to be repeated in order to move towards the Souls evolutionary future in an increasingly individuated way that the Soul IS MOVING TOWARDS: what appears from the front window when driving versus what appears in the rear view mirror. Perhaps we can look at Dylan's chart more thoroughly to practice applying the principals of a planet retro on nn, as well a planet in primary square to the south node? 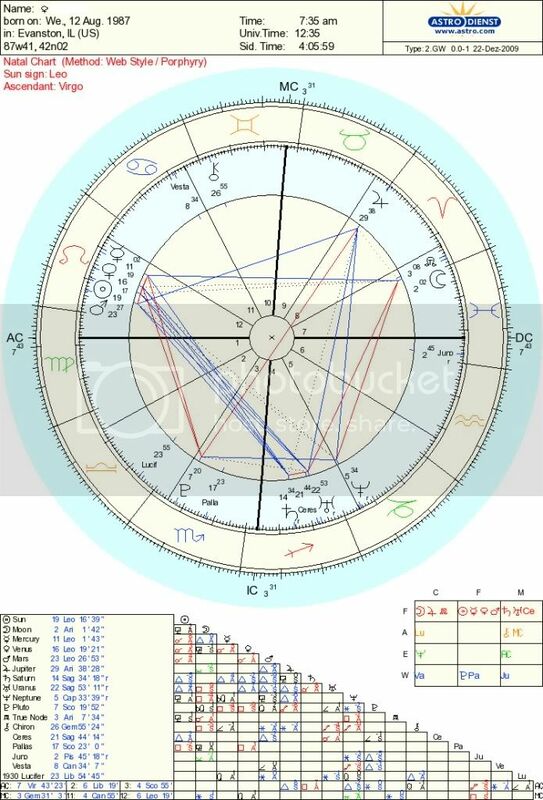 I feel his chart has a lot of good rare signatures going on. When we have a dynamic in which a planet is last forming a square to the south node- is the north node and it's ruler still the operative evolutionary vehicle for the rest of the chart, as well as being the integrative point for ppp? In this example, the pisces sn is where the soul needs to focus to resolve the skipped step implied by Mercury. Is that resolution a necessary foundation in order for the evolutionary intentions of the soul to manifest (ppp via nn and ruler of nn)? Yes. For Dylan his Soul has been gathering all kinds of information and philosophies from a diversity of cultures for many lifetimes relative to his desire to understand the nature of life from a philosophical and cosmic point of view. Within this he has desired to communicate his knowledge and understandings through parables, metaphors, and poetry. And he has already had other lives of relative fame through the vehicle of poetry specifically yet felt to limited in that form, and how many he could reach through it. Thus he desired to figure out a form that would have the biggest impact on others, and the widest dissemination of his work as result: Neptune on the N.Node retro. The empirical form of that work is the S.Node in the 3rd in Pisces with the Mercury square to it, and of course it's ruler Neptune. The widest dissemination is the 7th House.So he did figure out that form of course: music. And through his music he then reached the world audience that he so desired to reach, and traveled the world, 9th House, is so doing. Within this has been his unresolved dynamics and issues in personal relationships as symbolized by that Mercury in his 7th squaring the Nodes. As one of the lyrics in his music says: keep one hand waving free beneath diamond skies. Well, that has been his approach to not only his life in general, but of course intimate others. His Soul trail is littered with many others Souls over so many lifetimes because of his need to keep one hand waving free. And it still is. And because it is it will remain this way leading him into yet another life to deal with it. Is the music component indicated in the placement of Mercury in the 7th (7th= making harmony)? So it seems that in order to resolve the skipped step he would have needed to put conscious effort in learning how to "hear" and "listen" to other people who didn't already think the way he did. The Mercury in virgo in the 7th (judgemental ear- especially relative to the nn in virgo in the 9th) squaring the sn in pisces in the 3rd= can't hear other people's way of thinking/looking at the world. He has been insistent on finding his own path to truth, all the while not truly listening to/ putting for the effort to understand anyone that contradicted what he already knew to be true. Thus failing in his intimate relationships. Is that an accurate way of describing this skipped step? Music is a Venus / Neptune archetype. 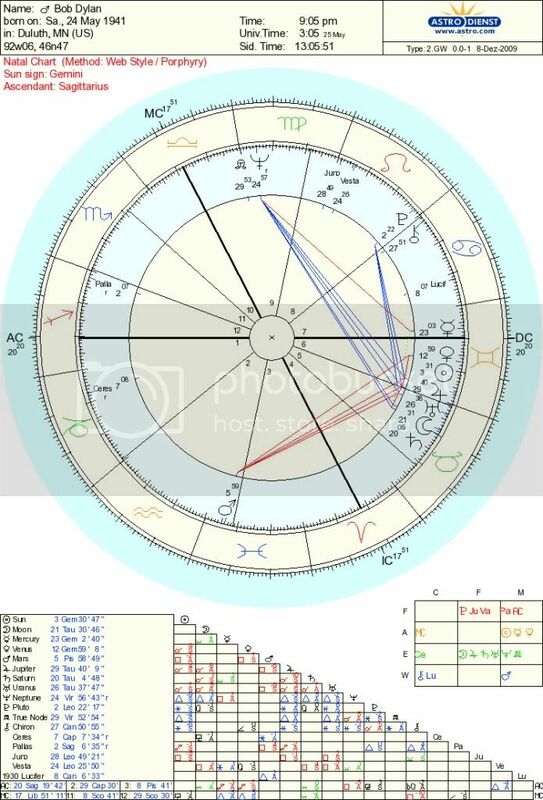 So his S.Node in Pisces, Neptune Retro on the N.Node, Mars in Pisces and it's squares to his Gemini stuff, and of course the Mercury in Gemini in the natural Libra=Venus House. Well his Mercury in actually in Gemini, relative to a S.Node in Pisces in the natural Gemini house. I would not see this as a problem of 'hearing' other people at all. Hearing them, and being critical of what he hears, yes. Critical of how others think yes, but not because he is not 'hearing' how they think. His skipped step is much more about 'keep on hand waving free beneath diamond skies' as applied to being in intimate relationships. The need to repeat many relationships carried over from other times because of this in order to resolve them. Hearing and understanding what others need, but in so doing that then conflicting with his own perceived needs that don't always mesh with the others needs. And then moving on yet again because of. And that Soul story continues for him, and will show up yet again in his next life. Here's another chart- I trust that posting these q's and examples are helpful learning opportunities for some of you as well. 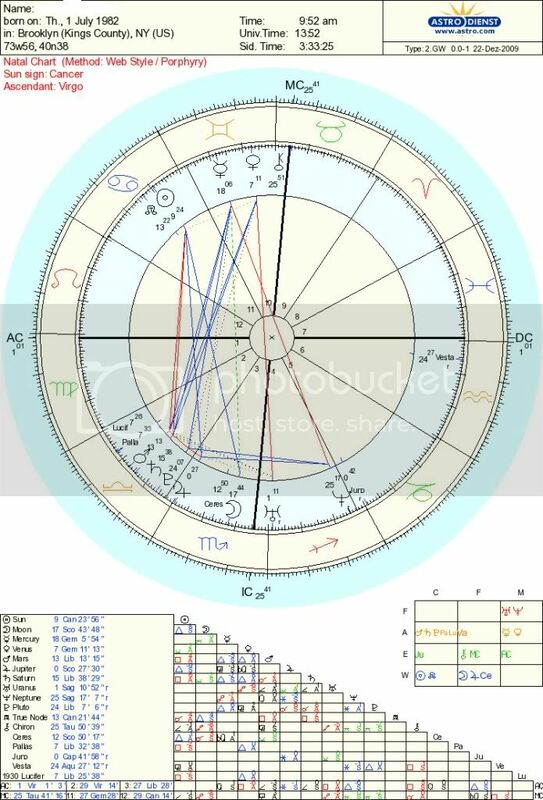 I have a friend whose chart I haven't been able to really grasp. We see that his north node is conj the sun, and he has Lucifer, Pallas, Mars and Saturn all forming a square to the north node and the Sun. I can see how having any planet on the north node implies the familiarity of the north node, however it seems complex with all those planets squaring it. I can't quite grasp the story here. I think he is first stage spiritual. He works with youth in oakland doing restorative justice in the school system. He shares his home openly with anyone, he is a musician. He seems very content with what he has and I observe a very strong connection with the divine feminine- and is heart is really open. He doesn't seem to worry about money, or survival- though he isn't earning very much. Super content individual. I asked him about his father, seeing all the powerful 5th house sun stuff in his chart. His father was/is a doctor, and always worked full and long days. He lacked affection and didn't give his son much attention. My friend says that he is very conscious of the ways in which he emulates his father, and he tries to be as present for the people in his life as possible. What I am able to discern so far is that in past lives it was really important for him to be the provider of his family. So we see a similar pattern to his father- all that second house stuff squaring the north node- implying that that cap in the 5th has at some point been a strong reason and motivation for earning a living. Clearly this life isn't about being the provider of his family. There is a great imperative in this life to further individuate the emotional body to a place of greater authenticity. He has been learning, and is continuing to develop a detached relationship to his emotional reality in such a way that he can be completely clear and real about his reality- and ultimately connect with more and more people with whom he can create an authentic sense of family with (cancer 11th house nn- conj sun). In doing this, he creates a new approach to survival- survival that is based on the deepening and sharing of intimacy with family/community. So the money goes into projects, goes into his visions- ultimately to live a more vibrant, emotionally enriched life with those that he resonates with. All that feels right, knowing him and all. Does the fact of the sun being conj the nn imply that the energy of the square to the nn is ALSO FAMILIAR to this soul? And the energy of the square comes out when/as my friend begins to build something new? "All that feels right, knowing him and all. Does the fact of the sun being conj the nn imply that the energy of the square to the nn is ALSO FAMILIAR to this soul? And the energy of the square comes out when/as my friend begins to build something new?" Yes. And from what you wrote Ari he is fulfilling the intentions of those squaring planets to his Nodes, of recovering those skipped steps and evolving because of. This is a great example of a Soul that is in fact resolving those skipped steps and evolving because of. oh cool, i cant wait to tell him! i am so grateful for that! this is such a blessing. Well, here is another friend of mine. It's a bit more complicated of a chart. It's a good practice because she has a planet on the northnode, planets squaring both nodes, and a conjunction of both nodal rulers. So many significant elements all present in this chart. She is first stage spiritual. Her father was an alcoholic growing up and wasn't too present for the family. Since then, he has been healing and they currently have a very strong relationship. Her mother died when my friend was 17. She lives alone- is actively involved in creating, and shining, mostly through painting. She's been working with a man who has been doing journeying work with her. She's currently getting more in touch with suppressed emotions such as anger- and is also developing more boundaries in her life by letting in only those that she can trust. Her sister, who she currently doesn't have a relationship with- made fun of her as a child for her voice. She has a fear of singing in front of other people. She is brilliant and very spiritually aware, and is becoming more empowered to speak her truth, to just speak up in general.